For me, there's not too much more frustrating in video games than a puzzle title that has you spam clicking and interacting with every single object in a given space in order to solve its mystery. I review games. It's part of my job. But at the same time, I can't claim to be some sort of video game design expert. There's so much that goes into making these projects that I'll never fully understand without having designed one for myself. I can't tell you what a developer like Double Fine was considering when they were developing Psychonauts in the Rhombus of Ruin. 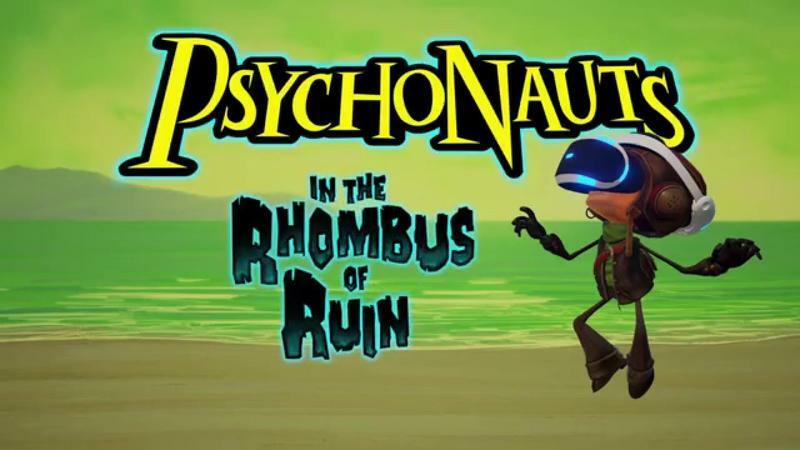 It is absolutely fantastic to be playing a new video game in the Psychonauts universe, and Rhombus of Ruin is a Playstation VR exclusive that takes place between the events of the first game and the second game. As a fan of Psychonauts, I was excited when this title was announced; albeit, I was troubled by the lack of fanfare surrounding it. Psychonauts in the Rhombus of Ruin is enjoyable at times because of its source material. 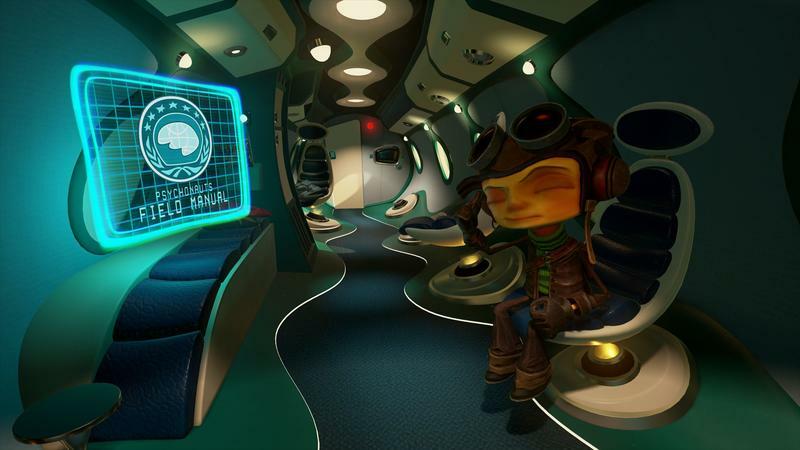 It looks like a Psychonauts game, it sounds like a Psychonauts game, and it feels like a Psychonauts game in its delivery. For all intents and purposes beyond that, this is not a Psychonauts game. 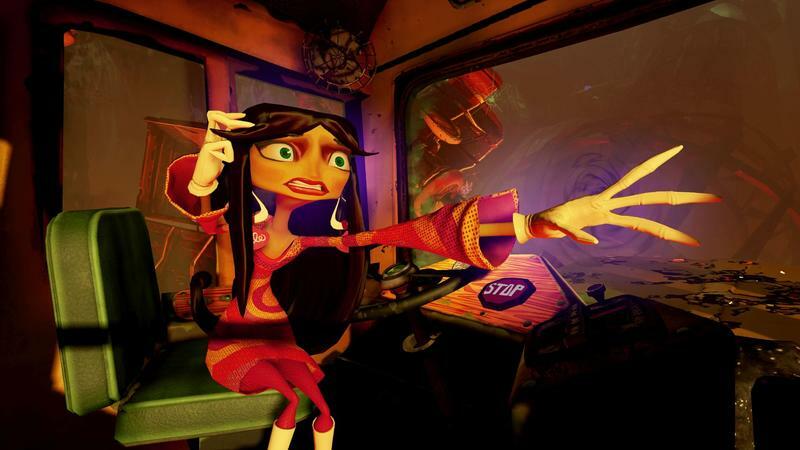 Psychonauts in the Rhombus of Ruin is a first-person, virtual reality-based point-and-click adventure game. Unfortunately, in that point-and-click genre, Psychonauts could be better. Okay, let me back up a little bit. I don't want to suggest this is a terrible game. That's not the case at all. It's just that it desperately feels like Double Fine's first foray into the medium of VR. It's as if they took the game design that they knew how to make and they applied it to virtual reality. It's a freshman effort, plain and simple. Here's how it works. You play as Raz. You sit completely still and use the DualShock 4 to select items, use your psychic powers and psychically teleport about the space. From Raz's view, you look at other people or creatures in the game and sort of ESP your way into their perspective. This is how you jump about levels, and you might actually traverse really large spaces by jumping from mind to mind and looking through each character's eyes. From there, you have use of powers like telekinesis, though you lose them and earn them back through progressing play. You will grab, poke at, light and toy with objects in the space around you on your DualShock 4 from a sitting perspective in this game. Raz, Lili, Milla andSascha, leftovers from the original Psychonauts, are out to find Lili's missing father. He's also the head of the Psychonauts organization. In that regard, this game does a really good job of filling in gaps in lore. You will learn more about the characters in Psychonauts and the organization itself simply by playing this game. If you consider yourself a die-hard Psychonauts fan, I think that this game is a good piece of recommended play. That's it, it is not a virtual reality seller. This just as easily could have been a better game if Double Fine had gone the more traditional route and listed it as a third-person puzzle title. I know it's ridiculous to say that this game should be a completely different game altogether. I get that I'm proposing the impossible. Having played this, though, I wished for something else. There are some games that you play that feel like they should be in virtual reality. Job Simulator, Until Dawn, Resident Evil 7 (god help me, I will never play that game in virtual reality but I totally get why others want to). 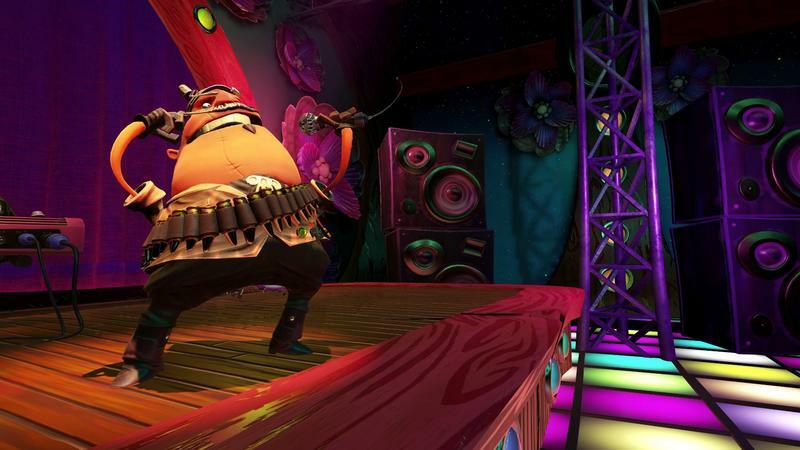 Psychonauts in the Rhombus of Ruin feels middling. It is an average virtual reality experience that only die-hard Psychonauts fans will love, and you should not buy PlayStation VR just for this. If you're like me, you'll run into old genre problems. You'll feel like you blasted off in your time machine to the age of middling point-and-click adventure games on your old PC. And not in a good way. You will grab, twist, throw and contort your way through tiny spaces while looking all over the place just to try and advance your way through puzzles that don't necessarily make sense. There are puzzles in here that are really clever, don't get me wrong. This game does have some good puzzle design. But for every clever puzzle, there's one that's just sort of okay or plain ol' bad. Psychonauts fan to the max? Go for it. But don't buy PlayStation VR for this game, it's not worth it. Maybe wait for a price drop or until something else pulls you into the hardware. Disclaimer: We received a code to download and review Psychonauts in the Rhombus of Ruin.